Congratulations to St Kevin’s Ladies soccer team who won the DWSL Subsidiary Cup final. There were great celebrations for a well deserved win. The next Car Boot Sale takes place on Sunday October 5th. Vans must be booked in. A great opportunity to get rid of the clutter. The car boot sale is also a great place to get a bargain with many items nearly new and some new. We also have great food stalls with home-baking, jams, plants and crafts. Contact the Brockagh Centre on 0404-45600. Our next monthly lunch takes place on the 7 October in the Wicklow Heather at 12.45 p.m. Positive Ageing Week takes place this year from 1st to 9th October. 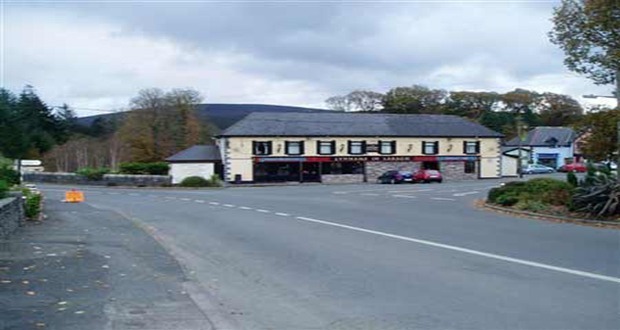 As part of this week Co Wicklow Network of Older People are organising their annual Brains of Wicklow Quiz which will take place on Friday 3 October at 2 p.m. in the Glendalough Hotel (the Perpetual Trophy is sponsored by the Glendalough Hotel). There are cash prizes, a table of 4 costs €40, and refreshments will be served. For further information contact Mai Quail on 086 3824343, Pat Brennan on 086 0429458 or Bernadette in the Brockagh on (0404) 45600. Yogatree Yoga is back with Viva on Wednesday 1st October – the new time is 7-8.30 pm. Give it a try it is suitable for all ages and abilities from beginners to more advanced. If you’ve always wondered about yoga, try out this class. Yoga is most helpful to relaxation, de-stressing, flexibility and improved health. Enjoy your body and its abilities, be stronger and more relaxed and enjoy the friendly social atmosphere of Yogatree classes. Contact Yogatree on (0404) 40000 for further information.